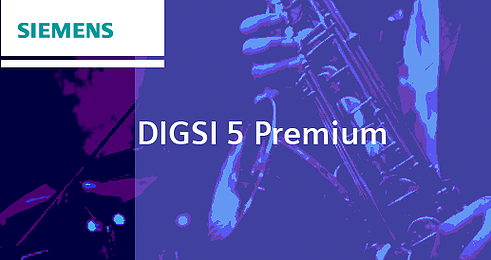 DIGSI 5 is the versatile engineering tool for the parameterization, commissioning and operation of all SIPROTEC 5 devices. Its innovative user interface includes context-sensitive user instructions. The simple connection to the device via USB allows you to work with a device easily and efficiently. The full capabilities of DIGSI 5 are revealed when connected to a network of protection devices: then you can work with all devices in a substation in a single project. DIGSI 5 offers a superior use solution and is optimized for your work processes. Only the information you really need to carry out your tasks is displayed. These can be further reduced by using expanded filter mechanisms. The constant use of sophisticated and uniform mechanisms in user interfaces requires less training. For the engineering of DIGSI 5 parameterized systems, the IEC 61850 system configurator is used. The IEC 61850 system configurator is used for the integration of the DIGSI device system 4. The IEC 61850 system configurator is the manufacturer's neutral solution for the interoperable engineering of IEC 61850 products and systems. The tool is compatible with the files of IEC 61850-6 through the import or export of all formats (ICD / IID / CID / SCD / SSD / SED). Therefore, IEC 61850 devices can be added and a complete IEC 61850 station is available for substation automation technology.